Fellow doctors called them the "Royal Family." "Goldilocks and the Three Bears" was another nickname given to some doctors at William Beaumont Hospital in Royal Oak, Mich., because they were given lucrative perks, paid in excess of $700,000 annually by the hospital, given the use of hospital employees for their office practice without charge—and still allowed to bill insurers, the government and patients themselves. The overpayments were among many allegations contained in four whistle-blower lawsuits filed since 2010 against Beaumont and unsealed this week after the hospital agreed to pay $84.5 million to settle a variety of state and federal physician kickback and false allegations from 2004 to 2012, before the merger that created the current Beaumont Health. 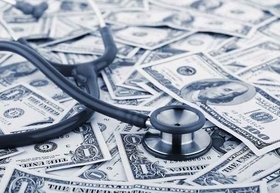 According to a 22-page settlement agreement released Thursday with the federal government and the state of Michigan, the excessive compensation to induce patient referrals and procedures involved Beaumont cardiologists, oncologists and ophthalmologists. But former Beaumont physicians and administrators tell Crain's and the whistle-blower lawsuits explain that such practices went beyond those specialties and into research, ambulatory care and other clinical and administrative departments. The first whistle-blower to file a complaint against Beaumont was Dr. David Felten, a nationally renowned neuroscientist hired in 2005 as vice president for research and medical director of the Research Institute at William Beaumont Hospital. "From 2005 to 2013, I noticed what I considered to be egregious ethical violations, including payment of gratuitous directorships to physicians in apparent exchange for referrals, mischarging research costs for personal and professional gain, and more than a dozen other unacceptable activities," Felten said in a statement to Crain's provided by his lawyer. "I attempted to change these policies, and to get the Beaumont leadership to do what was right, but was rebuffed, disparaged, marginalized, and eventually forced to leave," said Felten, now 70 and working in New York City for a Caribbean medical school to help international medical school graduates find residencies in the U.S.
Felten left Beaumont in December 2013 after he was "outed" as one of four whistle-blowers and forced to resign, said Julie Bracker, his lawyer with Bracker & Marcus in Marietta, Ga. Felten is currently suing Beaumont over retaliation for filing the whistle-blower lawsuit in 2010. Another former Beaumont physician, who asked to remain anonymous, said the "Royal Family" controlled contracts and research grants and could make life miserable on any doctor who stepped out of line. "You did not want to tick off the RF," he said. Several Beaumont doctors and executives were fired from 2011 to 2012 when they brought problems to the attention of management, sources told Crain's. Beaumont said it would not comment on the settlement beyond its statements in the press release. Since 2010, the Justice Department in Detroit has been investigating the allegations about the physician contracts that numbered more than 20, according to the whistle-blower lawsuits. Beaumont was informed of the investigation in 2011. Crain's learned of multiple whistle-blower lawsuits in 2012, but former Beaumont executives denied for several years the existence of any federal investigation or the underlying facts of the case. The Justice Department said in documents that Beaumont violated the federal False Claims Act by engaging in improper relationships with eight referring physicians that led to the submission of false claims to the Medicare, Medicaid and the military Tricare programs. The eight referring physicians were not named in initial DOJ documents, but the whistle-blower lawsuits list more than a dozen well-known current and former Beaumont physicians and executives as plaintiffs or those involved in the schemes. The settlement agreement, which was released Friday to Crain's, included an exhibit that identified the eight referring doctors: They are cardiologists Robert Safian, Cindy Grines, David Haines, James Goldstein, Renato Ramos, Joel Kahn and Dinesh Shah. The other doctor named is Abdelkader Hawasli, a bariatric and general surgeon, and Hawasli & Associates Consulting. A source with knowledge of the investigation who requested anonymity told Crain's the DOJ has decided not to pursue additional claims against the physicians. It is not clear why some of the doctors were named in the settlement and others listed in the lawsuits were not. In a statement to Crain's, Kahn said he was director of cardiac rehabilitation for Beaumont from 2005 to 2008 and was active in the management of patients and supervision of residents and fellows. He denied he received any economic benefits from Beaumont for his private practice. "I was not named in the original 2010 complaint for a reason. I did nothing wrong," Kahn said in an email to Crain's. "My name has surfaced for a small administrative role with small compensation relative to so many other cardiologists." Crain's has attempted to contact other doctors named in the settlement for comment. Shah has issued a statement that he was not informed of the investigation, according to the Detroit Free Press. "We are very pleased with the outcome of this case," U.S. Attorney Matthew Schneider for the Eastern District of Michigan in Detroit said in a statement. "This result should impress on the medical community the fact that we will aggressively take action to recover monies wrongfully billed to Medicare, through the remedies provided in the federal False Claims Act." Besides Felten, the other three whistle-blowers are Dr. Karen "Bobbie" Carbone, Beaumont's former chief operating officer; Cathryn Pawlusiak, a former clinical services line manager; and Karen Houghton, another former manager in ambulatory care. The DOJ has not determined the shares to be awarded to the whistle-blowers out of the total fine, but Justice Department guidelines allows them to share between 15 percent and 25 percent of the settlement. The most recent local DOJ case against a hospital occurred in late December 2010, when Detroit Medical Center settled a case for $30 million over improper financial arrangements with physicians. As part of its effort to sell to Vanguard Health Systems, DMC said it reviewed contracts and decided to self-report the problems to the DOJ. Some of the improper financial deals the DMC reported from 2004 to 2010 included below-market leases with physicians, free advertising, marketing and tickets to sporting events and educational seminars. DMC also discovered many instances in which it had billed Medicare and Medicaid from 2007 to 2010 for physician services that were not properly documented. None of DMC's improper arrangements included paying employed doctors excessive amounts like what was found with Beaumont. The DOJ contends that for at least eight years starting in 2004 Beaumont provided compensation to select doctors at substantially higher than fair market value—$700,000 to $800,000 annually—to induce them to admit patients and not leave for other competing hospitals. The compensation was excessive and in violation of federal anti-kickback statute and the Stark Law, DOJ said. "Dr. Felten, as he continued to clean up the research department that was under budget but had many slush funds controlled by these doctors, found errors on the time and expense reports on (Medicare) cost reports," Bracker, Felten's lawyer, said. "Nurses were billed for research when they were working for the doctors in their private practice," Bracker said. "Doctors were getting free work from the nurses on top of their salaries to get their referrals." In another instance, Beaumont was charged with billing Medicare for services at a CT radiology center, which was jointly owned by the hospital and a physician group, at the higher hospital facility rate, generating much larger revenue. The DOJ said Beaumont should have billed Medicare at the lower outpatient department rate. In another whistle-blower allegation, "Beaumont has engaged in a consistent practice of rewarding top referral sources with medical directorships and other 'perk' appointments where they are required to perform little if any work in return for sizable salaries." Marc Vezina, an attorney with Vezina Law in Birmingham, Ala., who represents Pawlusiak, said one way that Beaumont rewarded high-admitting doctors was with medical director payments. At one time Beaumont had 40 medical directorships, while the Cleveland Clinic had six, he said. "(Cathryn) was a heavily recruited executive in 2011 and she immediately saw problems because she dealt with all these doctors in cardiology and oncology," Vezina said. "When she informed (her superiors) of what was going on, they eliminated her position. It was retaliation" for doing the right thing. Vezina said Pawlusiak's lawsuit cited Beaumont's practice of using fellows to staff favored doctors' outpatient practices without compensation. Felten and Carbone said in the lawsuits that they were retaliated against once Beaumont administrators learned they didn't want to go along with the illegal practices. "You need to learn to just go along with the physicians, help them to do what they want, and not create waves or try to be a crusader," Felten was told, according to court documents. "If you keep creating waves, you will be destroyed." The Felten lawsuit also claims that a group of oncologists threatened to leave Beaumont and set up their own oncology practice if they didn't also get a "special deal" like the cardiologists. Beaumont had a contract with the Beaumont Oncology Network, which was a defensive move to pay doctors to keep them from privatizing the radiation oncology business with a private firm based in Georgia, said a former Beaumont physician who asked to remain anonymous. When a Beaumont administrator threatened to cancel the contract with BON, the oncologist threatened to form a joint venture with the private company, the physician said. Another Beaumont doctor, who also asked to be anonymous, said he was shocked when they found out how much money the BON group received from the hospital. "Some guys were getting well over $100,000 for just being on committees," he said. "There was no work involved. The board dismantled that later, and correctly so." One highly respected research oncologist resigned "in large part because he did not want to be party to what he considered an illegal kickback scheme," the Felten lawsuit said. Another whistle-blower lawsuit alleged that Beaumont leased MRI facilities from a physicians' group as a financial incentive for the group to refer more patients to Beaumont, despite having sufficient numbers of MRIs on its own. The same whistle-blower said a top Beaumont executive was informed that the Beaumont Urology Center was improperly operating without state certificate-of-need permission. She was told the center could not be closed because it would affect Beaumont's patient referrals and relationships with doctors. Bracker said many of the medical directorships, including director of cardiac care, were unnecessary and only intended to funnel more money to the doctors. "There were no job descriptions, no job responsibilities and no work performed that could be documented," Bracker said. "It was like, 'Here is another salary on top of a salary on top of a salary.'" But in early 2009, Beaumont was starting to face financial losses. A consulting firm, FTI Healthcare, was hired to evaluate the problems and recommend improvements, according to the Felten lawsuit. "FTI came in and noted the excessive doctor compensation and the gratuitous directorships," Bracker said. "The report showed that Beaumont was not getting the profit margins it should. FTI's report said Beaumont's margin was only 1%. Bracker said FTI recommended setting physician compensation to 100% of workload using a CARTS compensation method, which rewarded doctors based on the amount of clinical, administrative, research, teaching and special projects work they did. "Duties had to total 100% of time," she said. "Doctors were unhappy and pushed back. They didn't want to change." At a Beaumont Leadership Council meeting on Sept. 14, 2009, FTI executives presented a devastating report on Beaumont's dysfunctional physician compensation system. Tens of millions of dollars were unaccounted for and possibly in violation of federal anti-fraud regulations, FTI said, according to the lawsuit. On Sept. 25, 2009, former Beaumont CEO Ken Matzick announced that the three-hospital system planned to lay off 353 employers and cut $10 million from its budget. Three years later Beaumont nearly merged with Henry Ford Health System. Crain's reported that one of the stumbling blocks was physician compensation. The new eight-hospital Beaumont Health was formed in 2014 through the merger of three-hospital Beaumont Health System, Dearborn-based Oakwood Healthcare and Botsford Hospital in Farmington Hills. Officials for Beaumont said the federal investigation was disclosed to all board members and executives at the time, and references to the problems were contained in public financial documents. Beaumont CEO John Fox, who was hired in January 2015 to replace Gene Michalski, said the resolution of the case "reflects Beaumont Health's commitment to the future of healthcare in Southeastern Michigan." Fox started work in March of that year. "Since the formation of Beaumont Health in 2014, the new management team has implemented additional compliance and legal review processes to ensure our effective compliance with the complex regulations applicable to health systems and to provide additional assurance that these types of issues do not arise again," Fox said. Under the settlement, Beaumont also will enter into a five-year corporate integrity agreement with the U.S. Department of Health and Human Services. "That agreement is consistent with and will complement our current commitment to effective compliance policies and processes," Fox said. "We will continue to work with the HHS to ensure the highest levels of compliance and transparency at all levels of the organization. Most importantly, we will continue forward with our focus on our critical mission of delivering compassionate, extraordinary care to our patients, families and the communities we serve." Fox said there have been no allegations "concerning the quality of the patient care by any physician at any of the three hospitals" that were part of the former Beaumont Health System. Those hospitals include the flagship hospital in Royal Oak and those in Grosse Pointe and Troy. Beaumont has already paid $82.74 million to the U.S. and $1.76 million to the state of Michigan out of cash it has reserved over the past two years, a Beaumont official said. The fines will not affect operations or jobs, the official said. "Inside the Beaumont settlement: 'Royal Family' doctors, big paychecks, free offices" originally appeared in Crain's Detroit Business.